Home / Article / With help from the legendary manager JJ Dillon, The Empire struck gold in Dyersburg, TN! 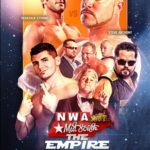 TCW Champion Tim Storm was set to face off against NWA MID SOUTH champion Gaylon Summers but for unknown reason, Summers no-showed the prestigious event and forfeited the NWA MID SOUTH Unified Heavyweight Championship to Tim Storm, thus merging the two titles and bringing more gold back to The Empire. 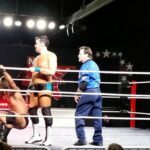 The NWA MID SOUTH championship committee then decided that Tim Storm would have to defend his newly combined titles against the former NWA MID SOUTH champion Jason Peter Rose, after JPR challenged the new champion. Storm would retain his new gold with help from JJ Dillon and The Empire. 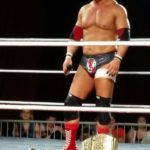 NWA Jr. Heavyweight Champion Steve Anthony successfully defended his title against veteran and former Ring of Honor champion Roderick Strong. 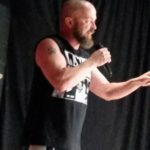 Matt Riviera defended his NWA Western Heritage Title against The Southern Psycho Elliot Russell. Golden Boy Greg Anthony sneaked a victory over The Gift Jason Kincaid in a hard fought match.